This week was chock-full of books from DC Comics, and a lot of them had some swell covers! I've narrowed it down to five, including some "weird" one-shots. Which ones? Well you can probably figure it out from the headline! If not, check it out right here! 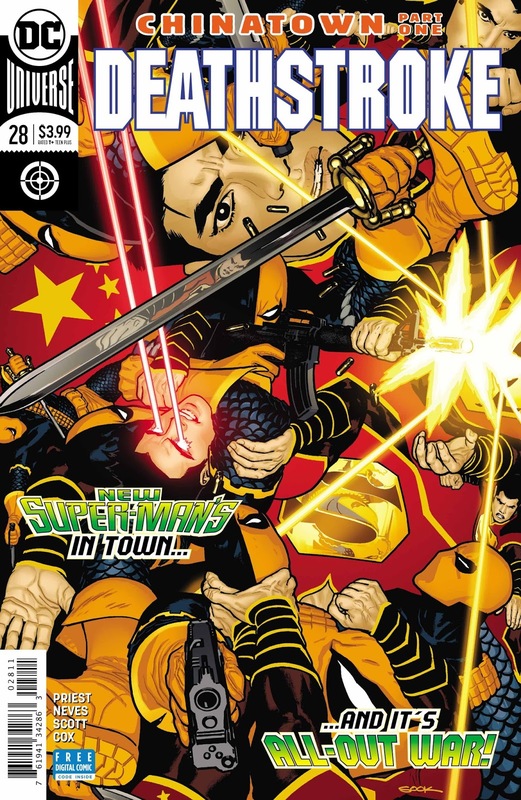 Even if I hadn't reviewed this comic book (check out my review here! ), I would have picked this cover. 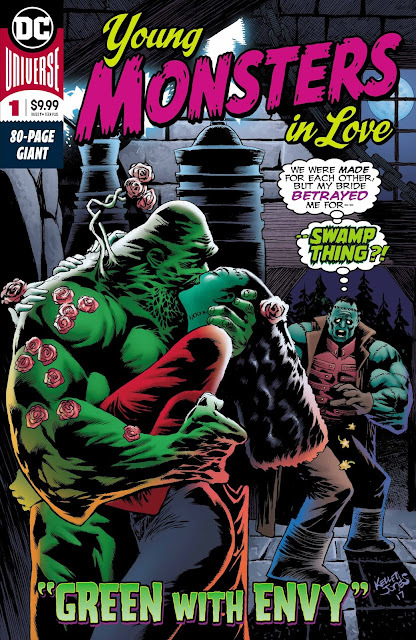 Not only is that Kelley Jones artwork easy on the peepers, but you've got this classic romance comic vibe, right down to the title treatment. And a word balloon! And it's Swamp Thing and Frankenstein! In my heart, this one took the top spot. Why didn't anyone tell me that Bill Sienkiewicz was doing variant covers for this series? Actually, I knew he was, but this particular one really grabbed me. You wouldn't think a happy dog-faced fighter pilot could look haunting, but here it is. 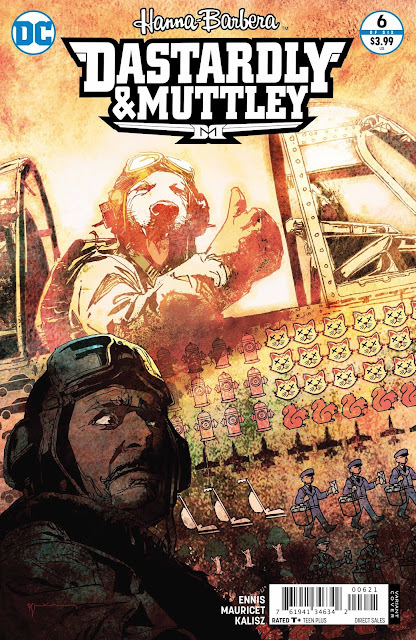 Dastardly's expression helps ground the mood of this image, but really, it's the rows and rows of symbols scrawled onto Muttley's plane that is the most stark: those are kills, people. And while I suppose we could spare a few fire hydrants and vacuum cleaners, I don't think we should be so flippant about a man-dog murdering mailmen. What the hell kind of post-Skynet apocalyptic Terminator scenario is this?! The composition of the image is perfect, and of course the two-color palette will get me every time. 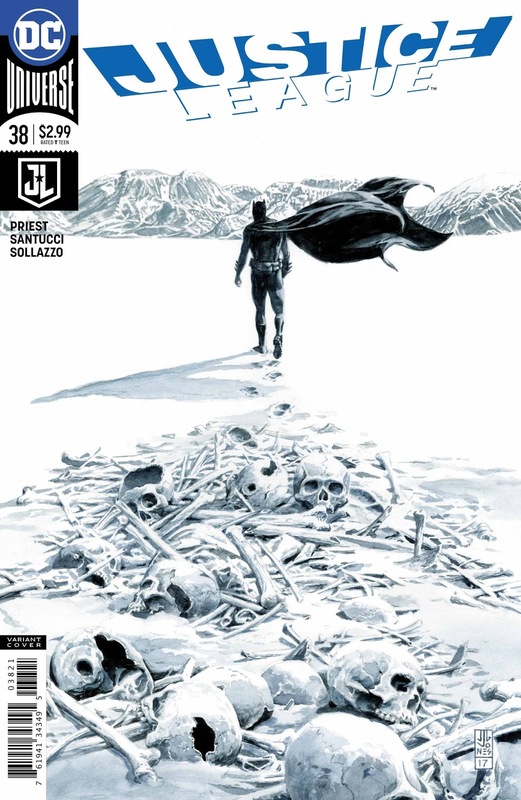 This would be a great image for a political statement, you can project your own concepts on the pile of human bones and skulls and Batman can be whatever agency you think neglects them. Okay, I know I reviewed both of the "oddball" one-shot titles this week (check out my review here! ), but I swear I would have picked this one anyway. 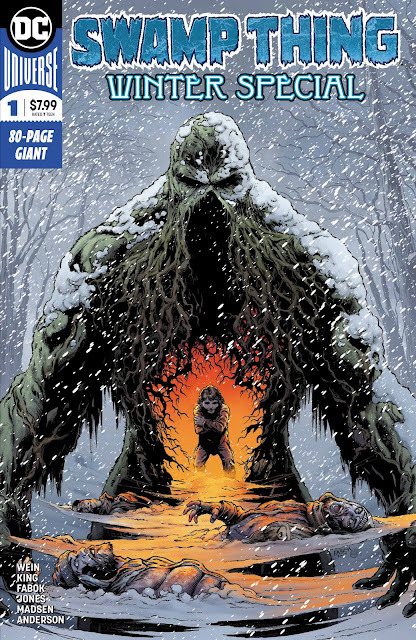 Jason Fabok draws an incredible Swamp Thing, and the glowing center highlighting frozen bodies just makes this image pop. I saw on Twitter that Jason Fabok had a rough 2017. Are fools not giving this guy work? DC should start a Swamp Thing ongoing just to keep his hand limber! When I was a teenager, one way we'd get a cheap high was to steal cough syrup from the local A&P, then drink the whole bottle until we felt sick to our stomachs. Once that passed (often with a quick projectile vomit), we'd hallucinate, and our vision would look something like this. A cracked mirror. A montage of action. A puzzle to be put together. However you want to see it, this is a pretty great image, ruined by the copy laid over it. That's comics, folks.